Factory Sealed 2017 Topps Series 2 Baseball Hobby Box mit 36 Packs Per Box, 10 Cards Per Pack. 1 Relic oder Autogramm Card in jeder Box ! 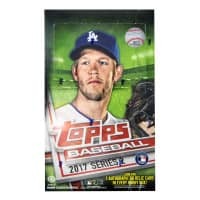 Produktinformationen "2017 Topps Series 2 Baseball Hobby Box MLB"
Factory Sealed 2017 Topps Series 1 Baseball Hobby Box mit 36 Packs Per Box, 10 Cards Per Pack. As the Midsummer Classic approaches, Topps Baseball Series 2 celebrates the greatest MLB All-Stars of all time and pays tribute to America's Pastime with MLB Fourth of July inserts, autographS and relic cards. Topps is giving away 2 million cards in their "rediscover" ultimate card give-away! 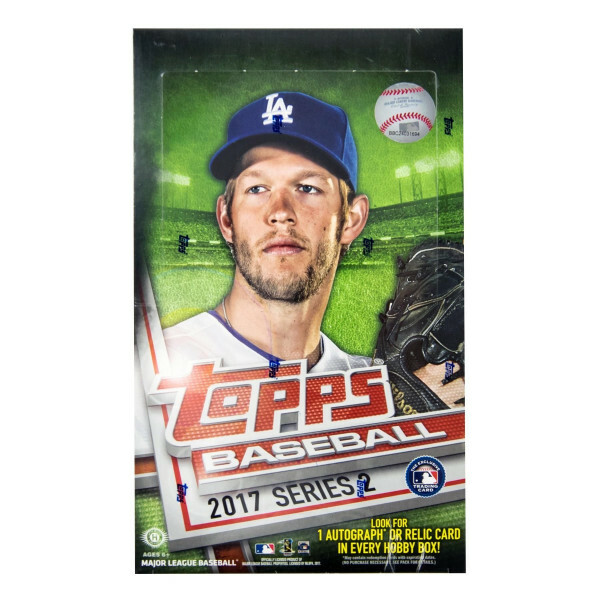 Two million cards from past releases over the lifetime of the Topps company will be randomly inserted into packs of 2017 Topps Series 2 Baseball! Cards will fall roughly 1 in every 6 packs and all but the most valuable cards will be stamped with a new foil "Rediscover" logo so consumers can easily identify those cards. There will be multiple levels of rarity in the foil logos which should also add additional value as collectors work to try to collect all versions of the cards in the set. Key Rookies: Trey Mancini, Amir Garrett, Jorge Alfaro, Hunter Renfroe, Manny Margot, Mitch Haniger, Jharel Cotton, Matt Olson, Dan Vogelbach, Gavin Cecchini. Major League Material Autograph Cards: Highlighting impact players from MLB teams. Memorable Moments Autograph Relic Cards: Recapping some of the greatest moments from Baseball history. Base cards will be sequentially numbered. Major League Milestones Autograph Relic Cards: Celebrating milestone achievements from the 2016 MLB season. Base cards will be sequentially numbered. 1987 Topps Baseball - Rookie & All-Star Edition Autograph Cards: Including on-card and sticker autographs from All-Star caliber players and must-have rookies in the game. 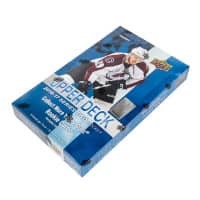 - Maple Wood Parallel - Sequentially numbered to 25 or less. - Ash Wood Parallel - Sequentially numbered to 10 or less. Major League Material Cards: Highlighting impact players from each MLB team. Memorable Moments Relic Cards: Sequentially numbered. Major League Milestone Relic Cards: Sequentially numbered. Cut Signatures: Sequentially numbered 1/1. Weiterführende Links zu "2017 Topps Series 2 Baseball Hobby Box MLB"
Fanbewertungen für "2017 Topps Series 2 Baseball Hobby Box MLB"
Product is fantastic however price is cheaper direct from USA.